Oakland Hall is the newest residence hall at WVU and opened in Fall 2015. Oakland Hall is open to all undergraduate students. Get a quick overview of the building and its location. All undergraduate students can live here. Oakland Hall rates are available at the Room and Dining plan rates section of the Housing website..
Room features, facilities and services at this hall. 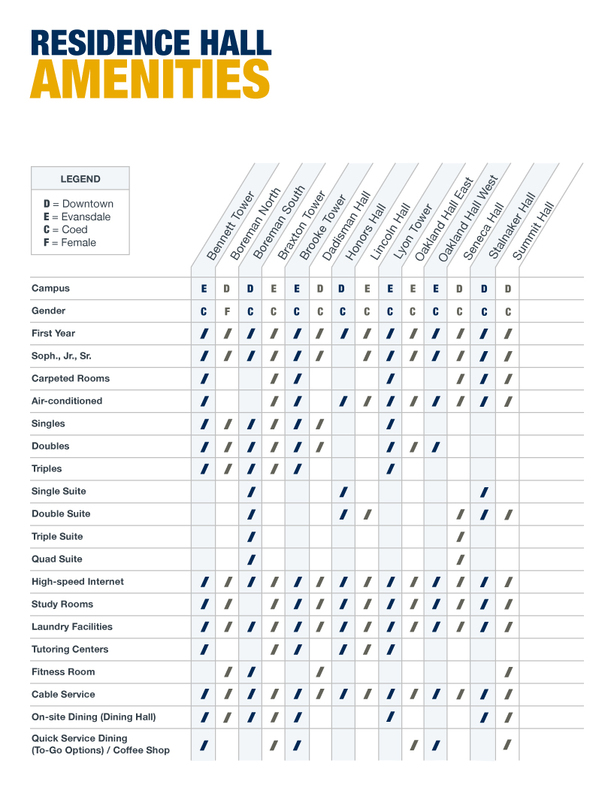 Check out the amenities chart for a comparison of residential housing amenities. Oakland Hall is located at 438 Oakland Street, Morgantown WV. It is within easy walking distance of (or a quick PRT ride away from) Evansdale campus buildings, as well as businesses along Patteson Drive and University Avenue. Get to know the neighborhood. There are many places to go within walking distance. 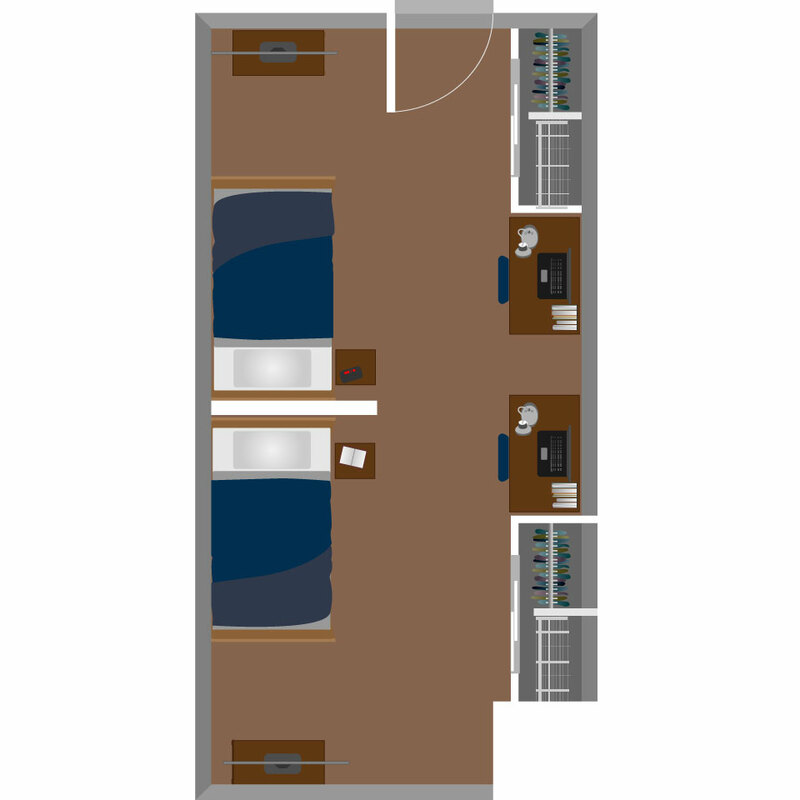 Floor plans shown are examples of different room types available in this building. Actual rooms may vary in dimension and arrangement. Room furnishings differ somewhat in various halls. All rooms include study desks and chairs, dressers, window blinds, desk hutch, wastebaskets, and twin beds with mattress (extra long, 36×80 inches). Oakland Hall room dimensions are 11’ x 22’. Take a look inside and see what's happening. Browse photos of rooms and common areas. View our calendar of events to see what residents of Oakland Hall are into. Take the next step and submit your housing application. Already admitted to WVU? After you pay the academic deposit, wait 48 hours to access the housing application. Sign up for a campus tour to see WVU in person.